This is a great lunch, or when cut into smaller portions, appetizer or lunch. 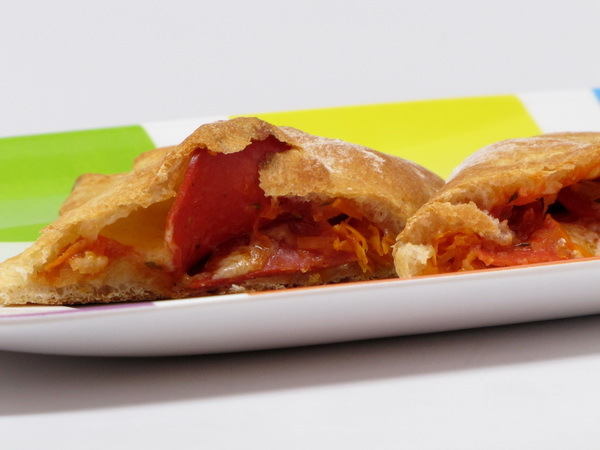 It is very similar to a Stromboli that you would find in most of your local pizzerias. 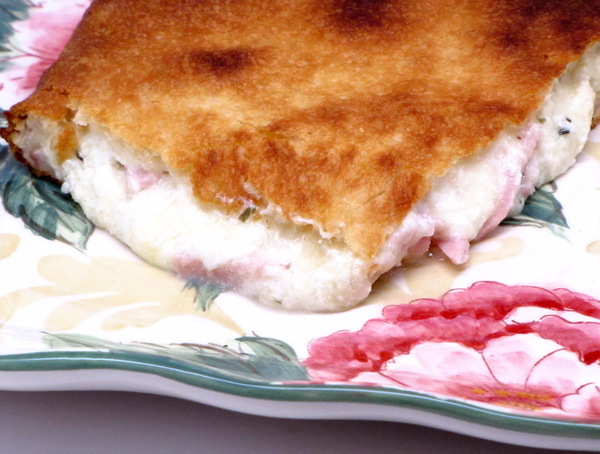 You can easily change this up and use turkey pepperoni or smoked turkey for the meat, shredded mozzarella or some ricotta for the cheese – it’s very versatile and a definite family favorite. Heat oven to 350 degrees. 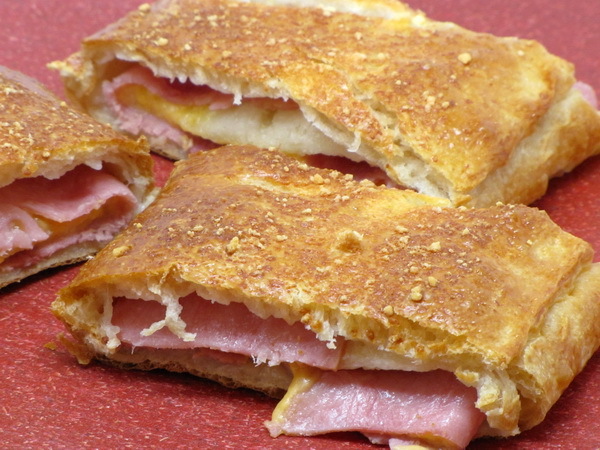 Flatten dough on a floured surface and roll out into a 12×8 rectangle then put ham on it leaving a ½ inch border then mix cheese with Miracle Whip and spread that over the ham. Fold lengthwise into thirds (fold over twice) and pinch the seams to seal it then place on a baking sheet sprayed with Pam. Cut a few slits in the top to let out steam, brush with the Egg Beaters and sprinkle with parmesan then bake 35 minutes or until golden. Let sit 10 minutes before serving. Even your kids won’t recognize the carrots inside so why not boost their veggie intake ?!? And for us adults, it just makes the meal more nutritious without sacrificing any of the flavor. This is definitely a great lunch paired with a side salad. Heat oven to 400 degrees. Roll dough into a 12×12 square and then cut into 4 equal squares. Spread 1 T sauce on each square leaving about ½ inch border then top with carrot, pepperoni, garlic powder, oregano, and cheeses and fold each in half and press edges to seal them then bake 12-15 minutes on an ungreased sheet.